Seattle Opera's Education and Community Engagement programs offer great opportunities for the public to engage more deeply with our company and this wonderful art form of opera. You can browse through the our entire Education and Community Engagement calendar--including previews of mainstage productions, open houses, programs for children and schools, and much more--in our most recent press release, as well as on our website’s calendar. We’re particularly thrilled this season about our newly commissioned opera projects, Our Earth and Belonging(s), which are both inspired by our region and its people. Opera Goes To School, Seattle Opera’s decade-old flagship education program, will bring together music and drama with science and nature in Our Earth, a cycle of three short new operas (average length 40 minutes each) for young people, with music by Eric Banks and libretti by Irene Keliher. Thanks to new partnerships with organizations such as the Seattle Youth Symphony Orchestras, The Nature Conservancy, and Seattle Aquarium, even more people will have the opportunity to experience this trilogy and explore its themes. 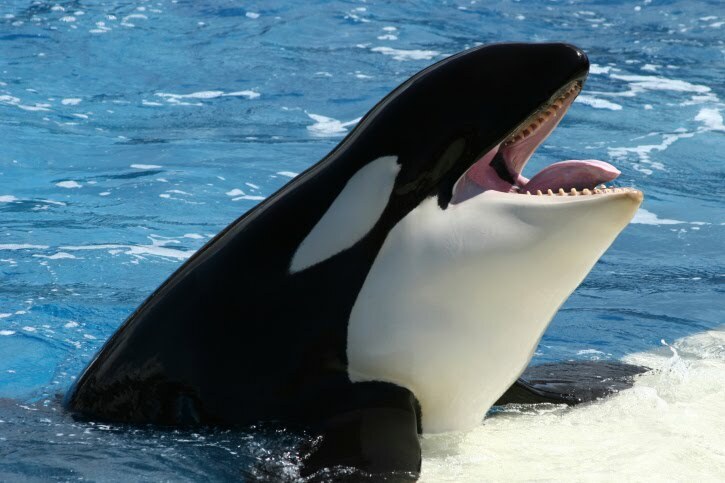 These new operas tell stories of people and animals in Pacific Northwest environments: when the salmon fail to return in the spring, figures such as Orca, Heron, Raven, Raccoon, and Salmon, along with human characters, embark on a quest in search of them. Written for a cast of four adult singers, plus optional children’s chorus representing the waves, the river, and baby salmon, the Our Earth operas can be performed either with orchestra or with piano accompaniment, and as a linked cycle or as separate, individual operas. This flexibility allows the Our Earth operas both to serve as exciting centerpieces at celebratory community events and to function as school-based programs. Getting ready to sing her aria! The general public will be able to experience the premiere of the first Our Earth opera, Heron and the Salmon Girl, on February 10, 2013, at Town Hall, where it’ll be performed by Seattle Opera’s professional adult singers, children’s chorus, and the Seattle Youth Symphony. The second opera will premiere in April 20, 2013, as part of the Earth Day celebrations at Seattle Center, and the third premiere will happen at McCaw Hall on August 3, 2013, as part of an all-day open house celebrating Seattle Opera’s 2013 Ring Cycle, which begins the next day. Keep your eyes on this blog for more information! Visit our Belonging(s) Digital Quilt to hear stories of area residents' most precious possessions. Our other commission, Belonging(s), is a full-length opera with music by Jack Perla and a libretto by Jessica Murphy Moo. It’s part of a multi-year community engagement project that creates music and drama from the real-life stories of Puget Sound area residents, and the Belonging(s) creative team has chosen a handful of stories to serve as the spine of their new opera, which is currently in development. 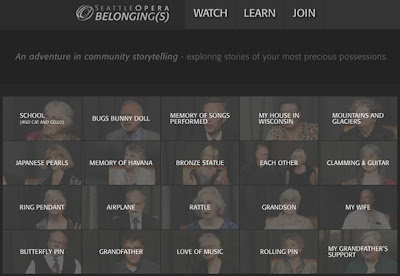 For more on this project, and to hear some of our community’s stories, visit http://www.seattleopera.org/belongings. That's really cool that people such things. Educational plays are very important for humanity. Everyone can look play maybe for fun but some lesons they would learn! And it's great. A lot of people don't want to read news or simply watch it on tv. And it's the only way to tell them about problems. ! I work on https://pro-papers.com/au/education-writing-service and i will ask everyone how can we help!